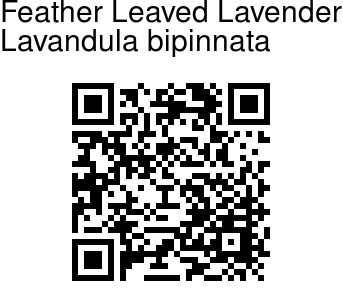 Feather-leaver Lavender is an erect, strongly fragrant herb, 10-60 cm tall. Quadrangular stems are covered with velvety hairs. Oppositely arranged stalkless leaves, 3-10 cm long, are deeply divided into linear narrow lobes, giving them a feathery look. Stalkless flowers occur in spikes 2-5 cm long, at the end of branches. Flowers are blue, 1 cm across, and 2-lipped. The upper lip is small, 3 mm, while the lower lips is larger and divided into 5 lobes. The mid lobe is longer, oblong, rounded. Flowering: August. 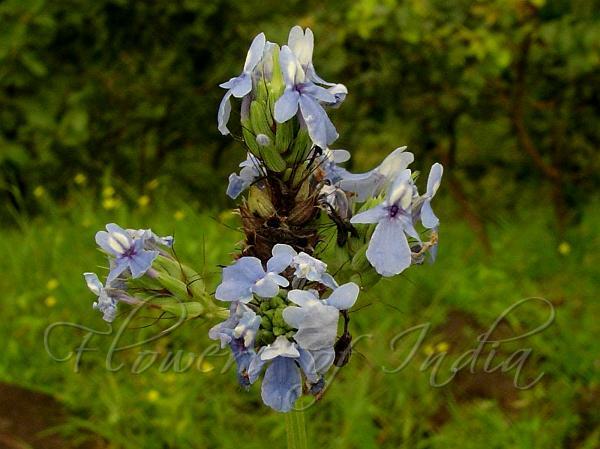 Photographed in Sahyadri Hills, Maharashtra.